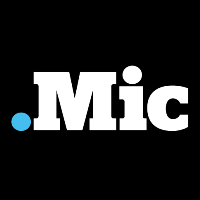 Mic has hired Kerry Lauerman as executive news director, effective Oct. 31. He’ll be joining from The Washington Post, where he has been national projects editor and senior editor of mobile initiatives. His extensive journalism career includes roles as co-founding editor of The Dodo, editor in chief of Salon, senior editor of Mother Jones and managing editor of Forbes ASAP. For news to help you rethink the world, follow Mic on Twitter.